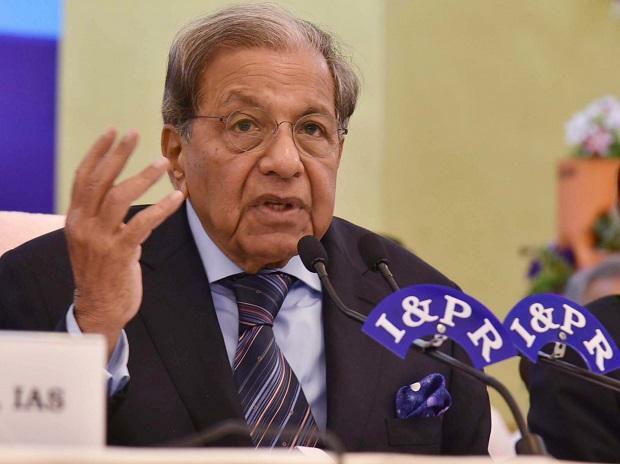 Finance Commission chairman N K Singh on Tuesday asked state governments to prepare suitable roadmaps to bring down fiscal deficit and high-debt position. Singh made it clear that the commission wanted all the states to strictly adhere to the fiscal parameters enunciated in the Fiscal Responsibility and Budget Management (FRBM) Act by 2025, even if it means fiscal compression. "I have visited 19 states and Telangana being the 19th one. We have to cover ten more states. What we found so far is varied conformity to the fiscal goals by the states as they are at different stages of disobedience and compliance. Therefore, each state needs to have a separate roadmap to bring down the fiscal deficit and the debt," Singh told media after holding a meeting with Telangana Chief Minister K Chandrasekhara Rao and his team of ministers and officials. He said the commission would like to see a credible actionable plan that contributes to the macroeconomic stability. Singh complimented Chief Minister Rao for taking up large-scale projects in irrigation and drinking water sectors that will potentially have a multiplier effect on the economy. Rao, however, cautioned the state government about its fiscal situation. "Telangana's financial position looks somewhat stretched. Both the fiscal deficit and the debt to GDP ratio of the state looks problematic. So, I asked the government to give a medium-term road map to come out of this situation," he told the media. Talking about the challenges specific to Telangana, N K Singh said that balancing the growth and development in the state should be a big priority for the government as currently just 3 districts, including Hyderabad, contribute 55 per cent to the GSDP while the remaining districts contribute only 45 per cent. While complementing the government for maintaining a high 20 per cent revenue growth, the commission members asked that government that any compromise on revenue front would derail the economy. Responding to a question on the issue of resource sharing between the Centre and the states, Singh said he would know how much resources would be available for distribution only when the Centre puts out its demands about the finances.